No reason, no rhyme, no real beginning or end. Random connected dots. 1) Steve Brookes’ bookKeeping the Flame, about growing up with his schoolmate Paul Weller, about forming The Jam with Paul Weller, and about dropping out before The Jam became the power trio we all loved them for. Brookes seems to have been as much in awe of Paul when he was a kid as the rest of us were when… when we were kids. The book is neither as badly written as you’d fear nor as well written as you’d hope; what I’ve digested is purely anecdotal with the occasional touch of florid prose. But what comes across most clearly from the early pages is Paul’s total dedication to a musical career from a pre-teen age: the endless rehearsals, the constant performances… and the ceaseless chainsmoking. 2) Dennis Munday is writing a book about The Jam. How many books on The Jam is too many? 3) John Peel’s autobiography Margrave of The Marshes: the second half, as written posthumously by his wife, Sheila. She talks about the Peel sessions, how the confines of recording four songs in eight hours in the BBC studios brought the best out of most bands. 4) The iPod: set, as usual, on shuffle. 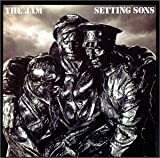 The Jam’s ‘Saturday’s Kids’ comes on, and I’m immediately struck by the power of this version and the clarity of Weller’s vocals. I know I only have the one Jam studio album on the iPod (This Is The Modern World) and so, equally, I know this rendition must be from the Jam at The BBC CD(s), and that this must be the Peel session recorded round the time of ‘Setting Sons.’ I’m so impressed by the power and clarity of this one performance that I listen through the rest of the session, featuring ‘Thick As Thieves,’ ‘Eton Rifles’ and ‘When You’re Young,’ two of which are among my most treasured songs of all. This was the Jam at their power trio peak. 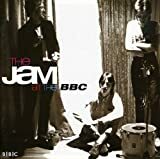 5) The Jam at The BBC CD, which I now listen to in entirety. Regardless of tracking, regardless of mix, regardless of instrumentation (which, on brass-accompanied tracks from the later years, is bloody awful at times), Paul and Bruce’s voices are routinely, resolutely, spot on solid. In early years The Jam took some stick for being so gruff, but however rough Weller’s voice, they always sang in tune. 6) Paul Weller: Live at Braehead. My friend Uncle Rock lends me the DVD. Doesn’t know my connection to the Jam. Just thinks I should see it. His voice is amazing, he says, the kind of voice you can only get from 30 years of tea and fags. 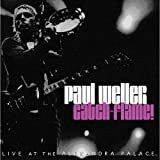 7) Paul Weller: Catch-Flame!. How many live Paul Weller albums and videos is too many? 8) All Mod Cons: The Deluxe Edition. How many Jam reissues are too many?